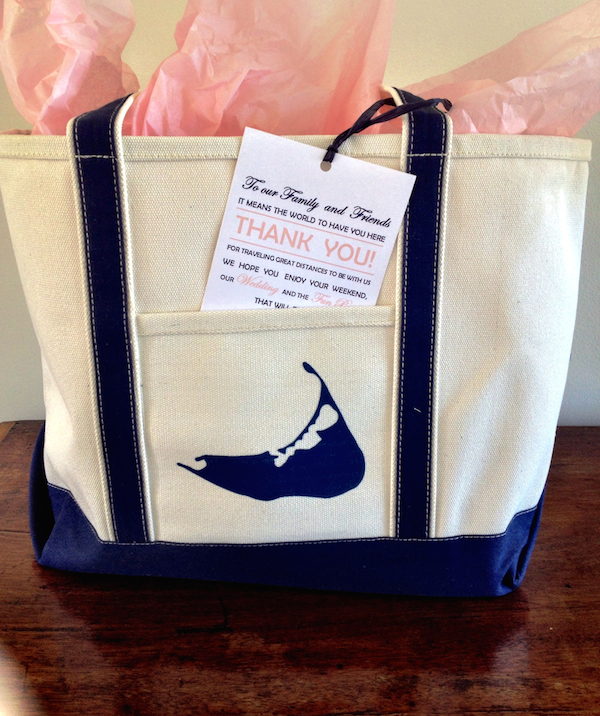 to the charming welcome bags (filled with Nantucket goodies and custom printed guides), it was so pitch perfect, I had to share a few visual moments. 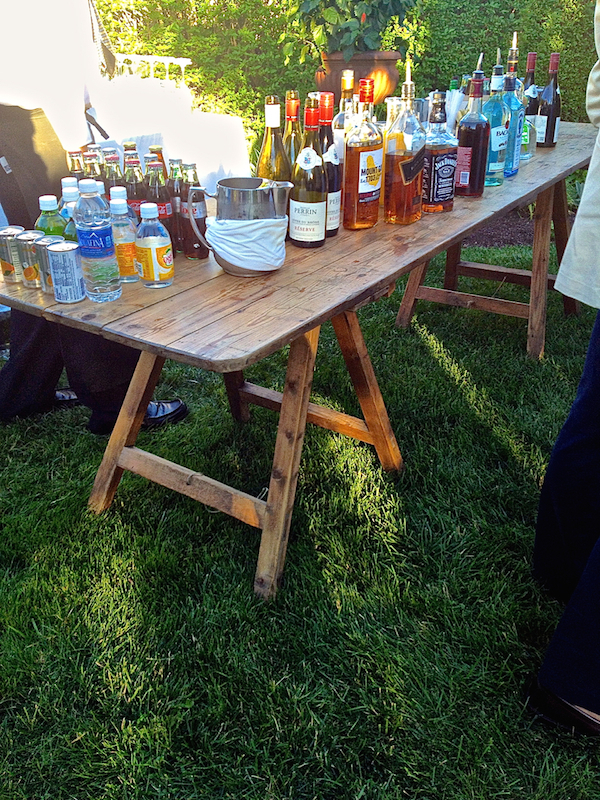 Festivities kicked off on Thursday evening with a private cocktail party at a family residence, which despite the brooding weather, was a great gathering to meet and greet. 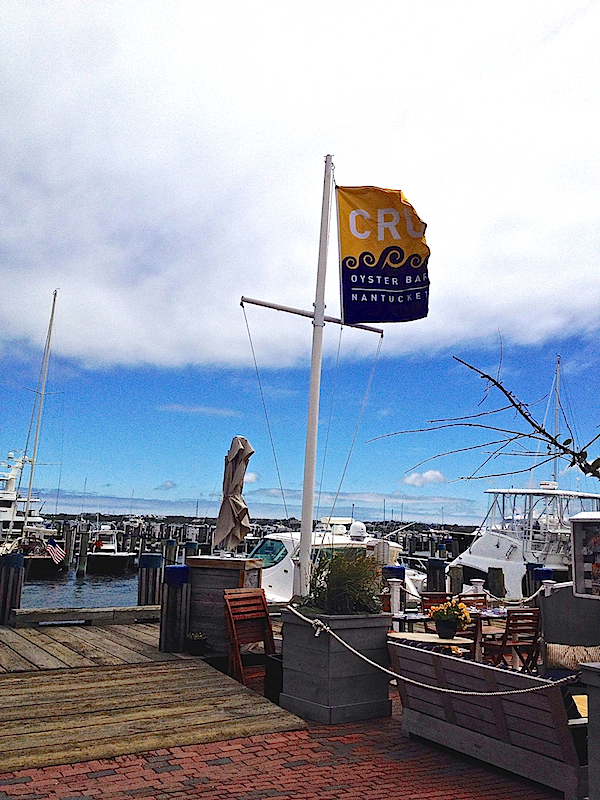 The next morning we awoke to crisp blue Nantucket skies which luckily accompanied us throughout the weekend. 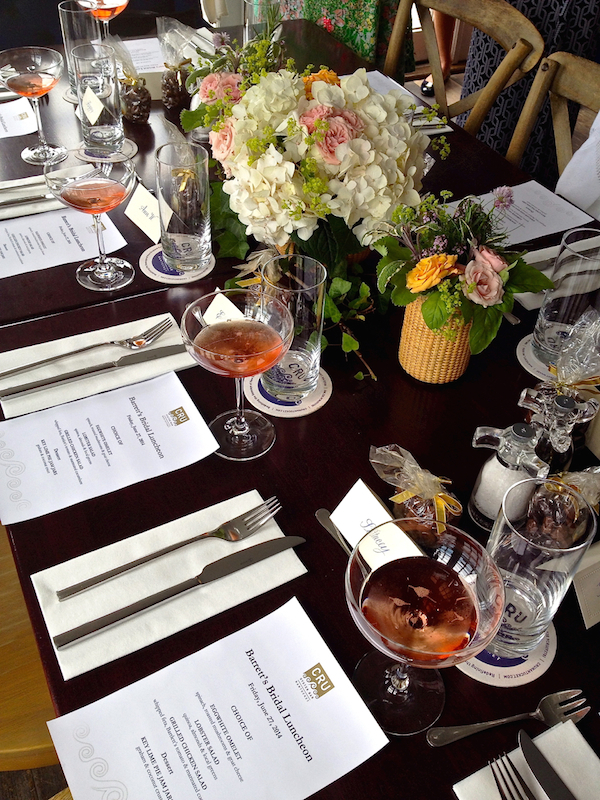 Nantucket is a haven for chic restaurants but I can’t imagine a better venue for the lovely bridal luncheon than Cru. 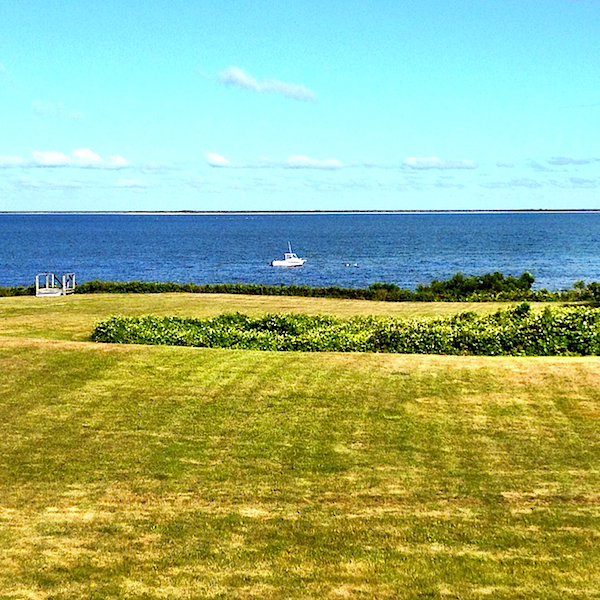 Overlooking the harbor, it has true island appeal. 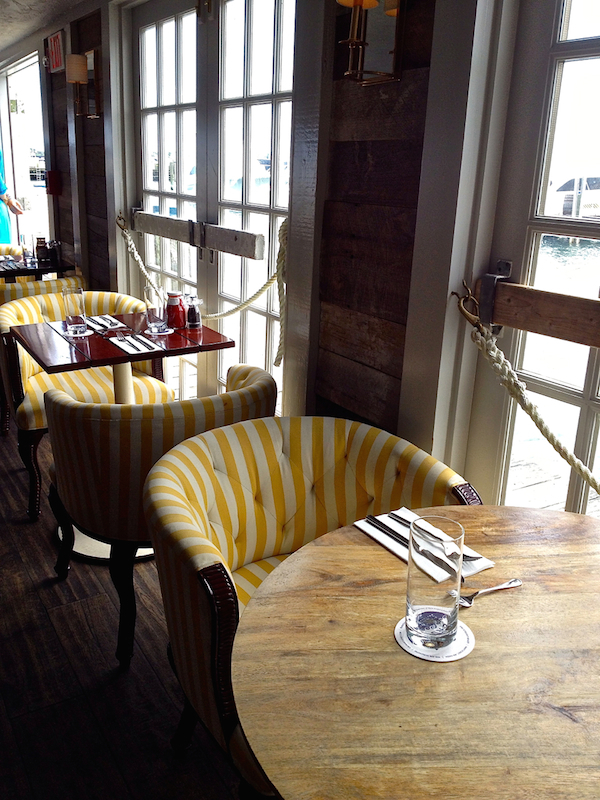 With nautical references, it is seaworthy stylish without going overboard. 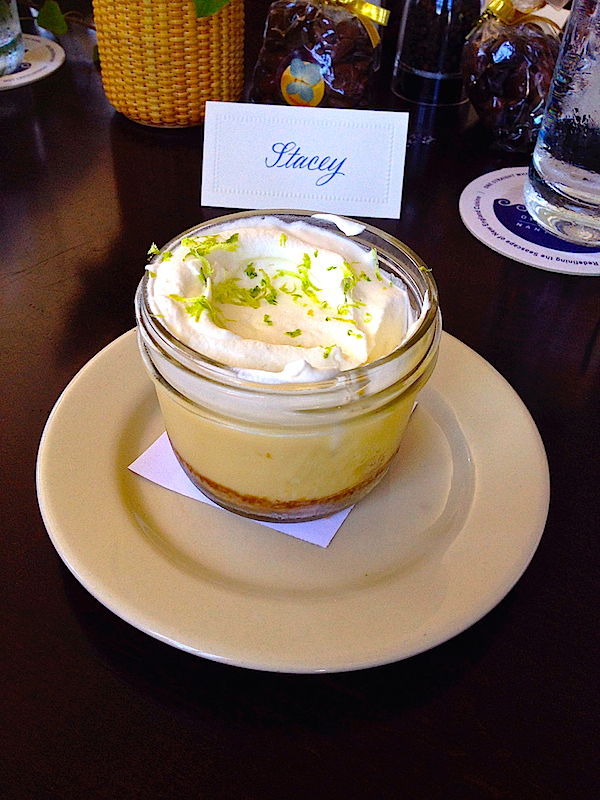 and a Key Lime Pie Jam Jar for dessert that was as delectable as its delivery. 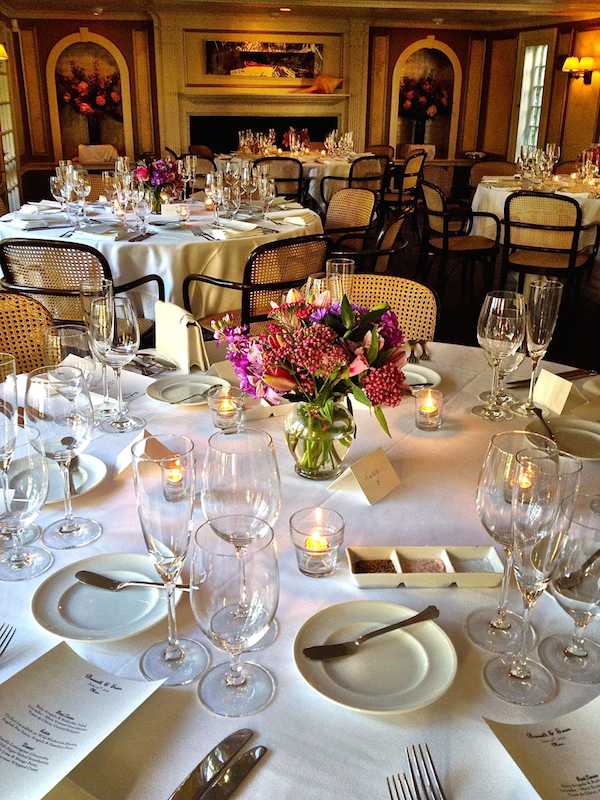 That evening the celebration continued with the rehearsal dinner at longtime favorite, The Chanticleer, in the charming hamlet of Siasconset (Sconset to locals). 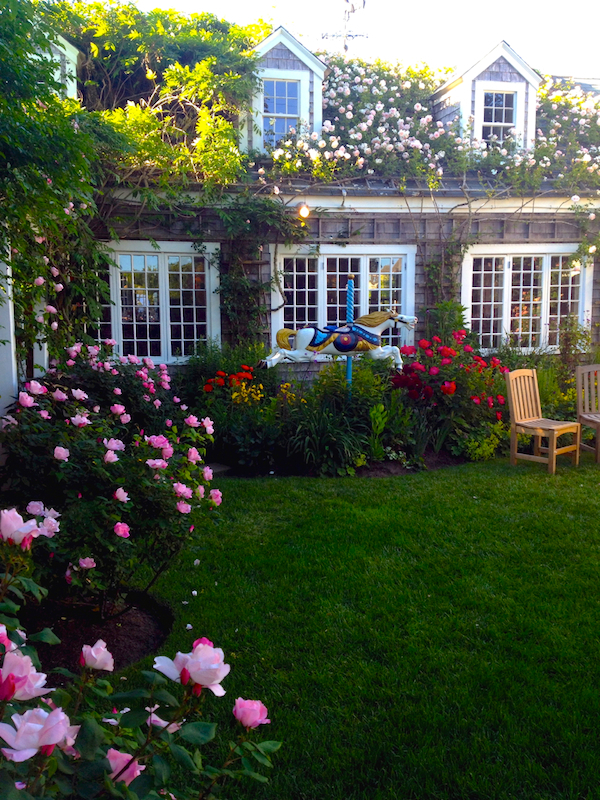 Famous for its rose filled garden entry with signature carousel horse (a replica of the original which left with the previous owner), it is an island classic. 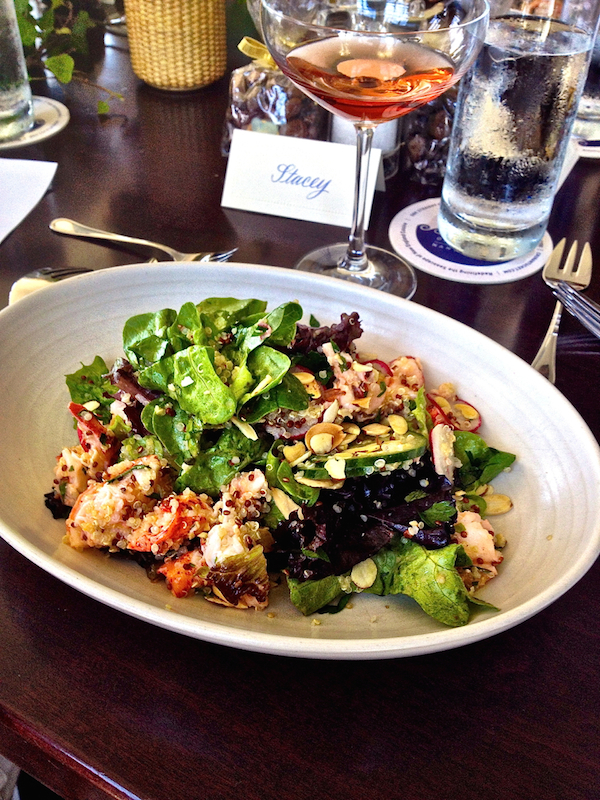 followed by a jubilant dinner inside. The big day started at the iconic Siasconset Union Chapel. 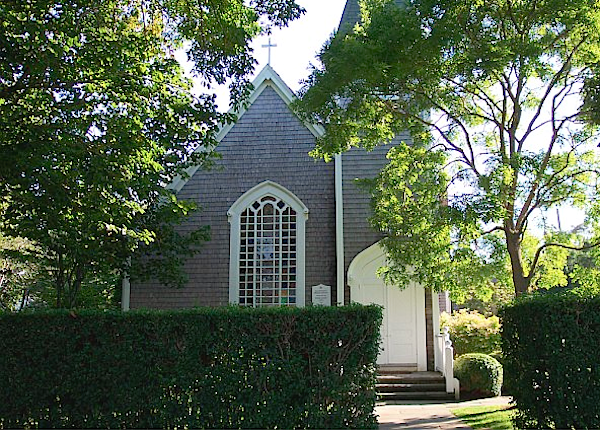 Built in 1883, the Sconset Chapel has long been a highly desirable destination for island weddings. 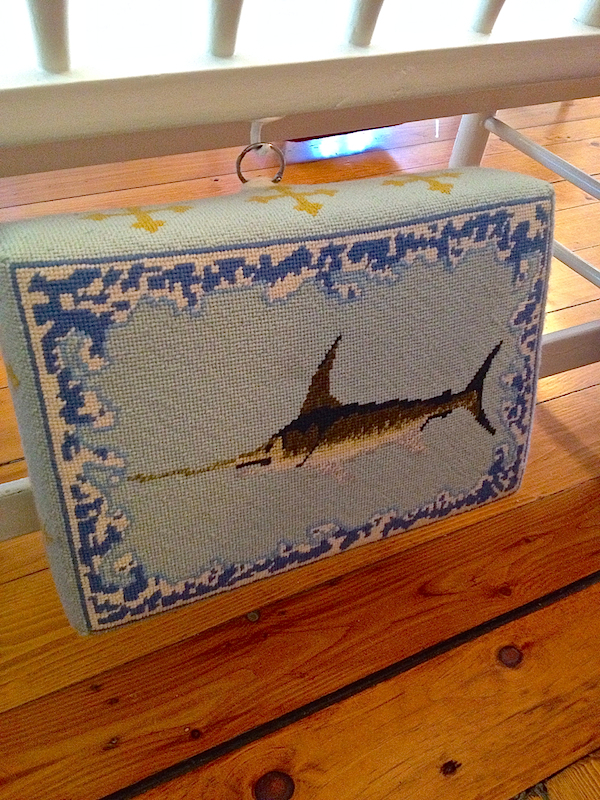 With understated New England charm, pews consist of simple white painted benches but it’s the handmade needlepointed kneelers, each depicting a facet of Nantucket life, that steal the show. In deference to the privacy of the bride, I won’t share photos of her or the wedding party at church, but suffice it to say, everyone looked stunning. The bridesmaids’ bouquets were beautiful, each with a ribbon embroidered with the carrier’s initials. 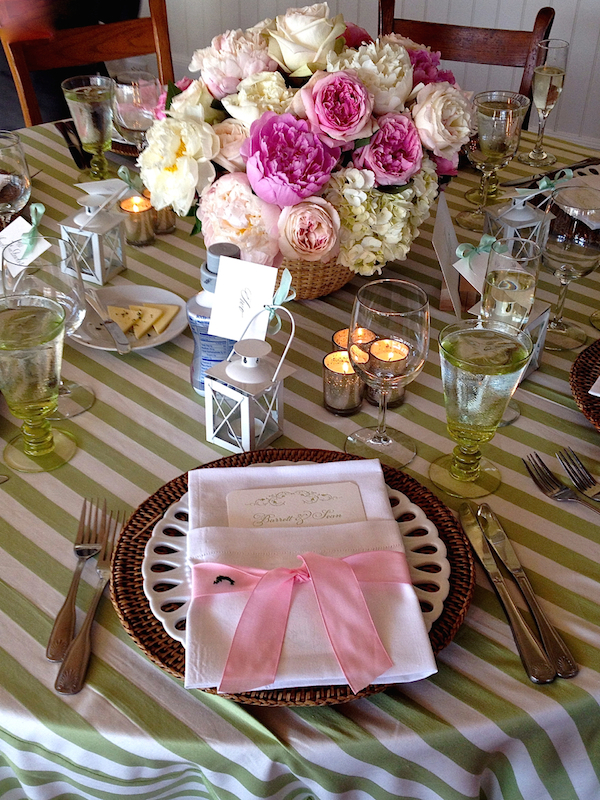 and on the tables, where soft pinks and greens reflected nature’s early summer bounty. Adorable miniature lanterns served as name tag holders which I will definitely be incorporating in future tablesettings. 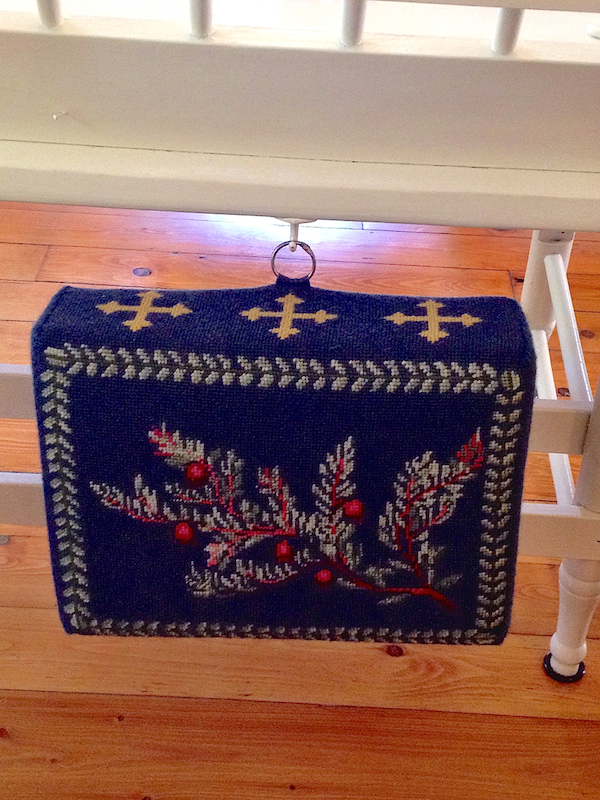 Those of you who follow along on Instagram know that I was also lucky enough to bring a centerpiece home which is temporarily transforming our Nantucket entry. What an incredible weekend it was to celebrate the marriage of my lovely niece (and husband’s goddaughter) and her new husband. I am sending them all my best as they embark on their new life together (in French Polynesia as I write)! I’ll be back next Thursday with the next in our design video series. all photos by Quintessence unless otherwise indicated. 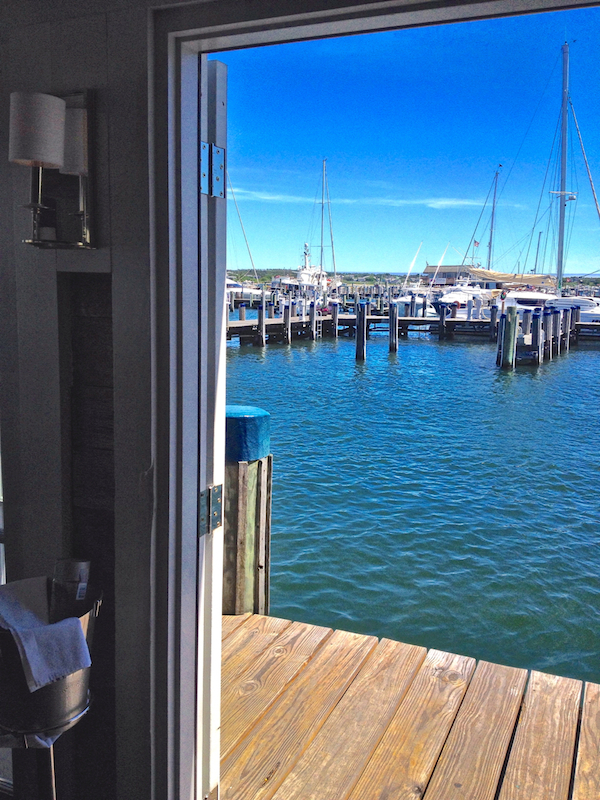 This entry posted in food and drink, gifts, interior design, Nantucket, Stationery, travel. 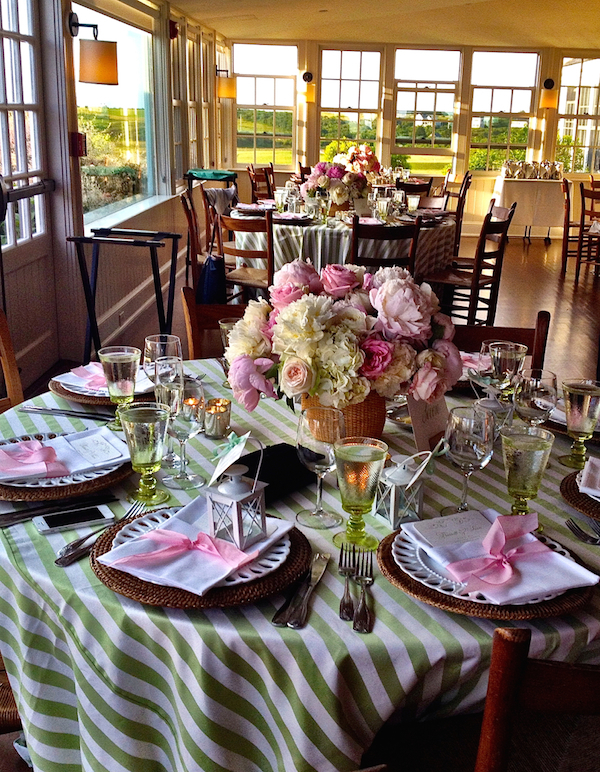 Entry Tags: Nantucket, Nantucket weddings Bookmark the permalink. absolutely beautiful. how lovely for you and your family. congratulations. What dreams are made of! Picture perfect . Simply elegant . No detail missed . All the best to everyone . Wishing them all the happiness in the world. Thanks for sharing. 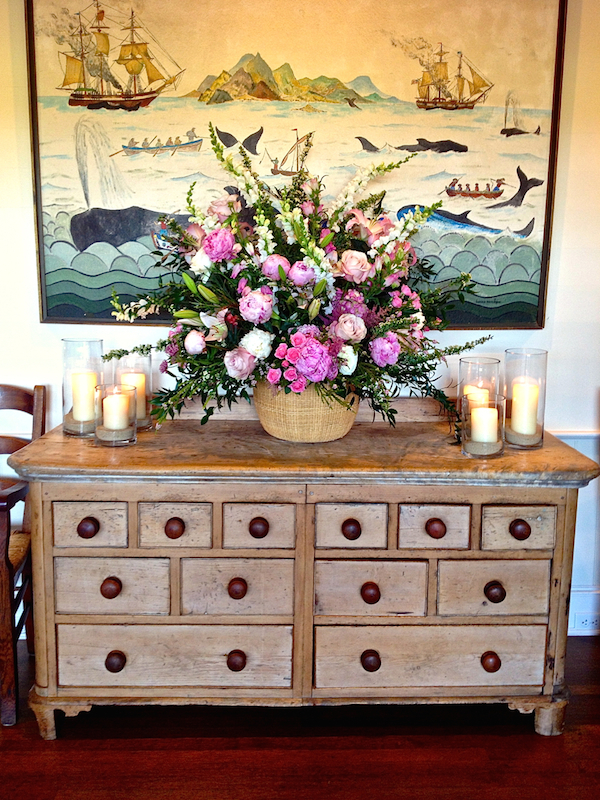 Truly a dream Nantucket wedding! Thanks for sharing this, Stacey. Cannot imagine a more gorgeous wedding. A dream wedding for your niece, Stacey and thank you for the gorgeous images. 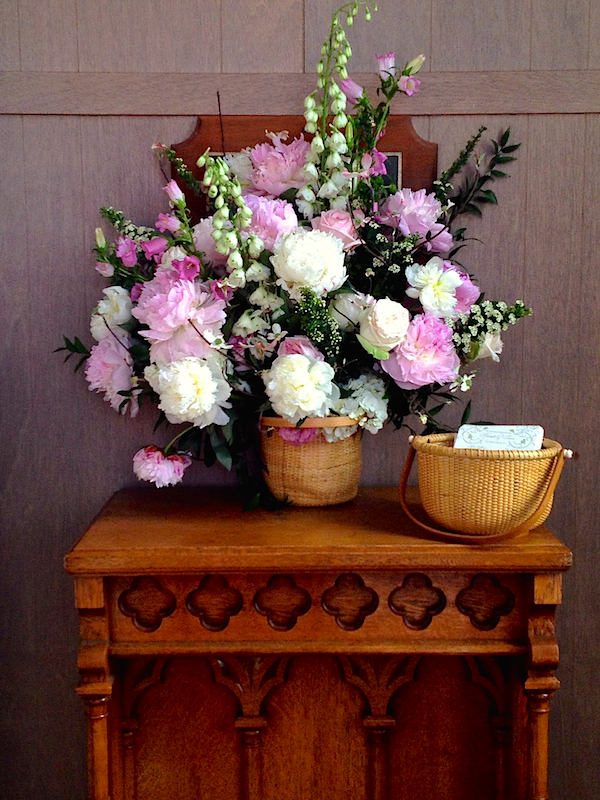 The florals and tables (love the green striped cloths, and the church needlepoint kneelers. Have never seen anything like that in the churches I have attended! What a wonderful narration! Thank you for sharing this personal event! 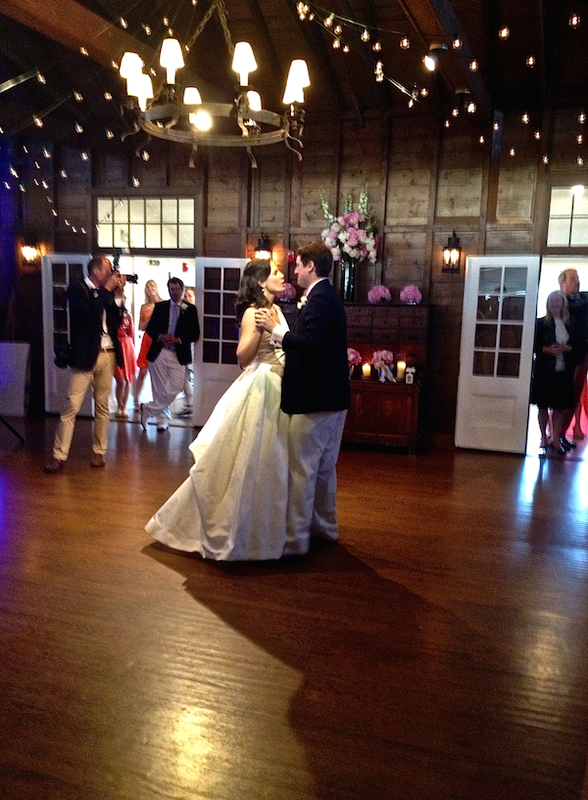 Beautiful wedding and I love how you captured it! 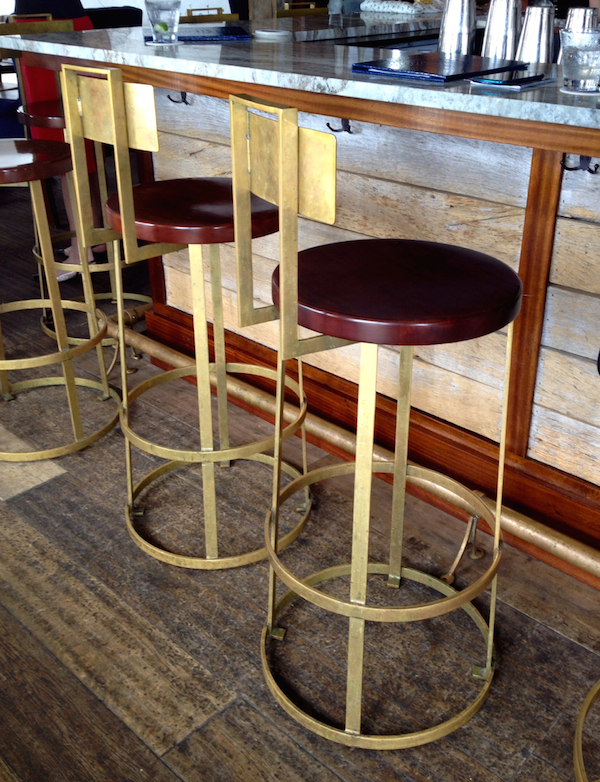 This was incredibly chic and simple! Thank you for sharing! Oh wow. I believe I have just pinned every single morsel. This looks absolutely incredible. 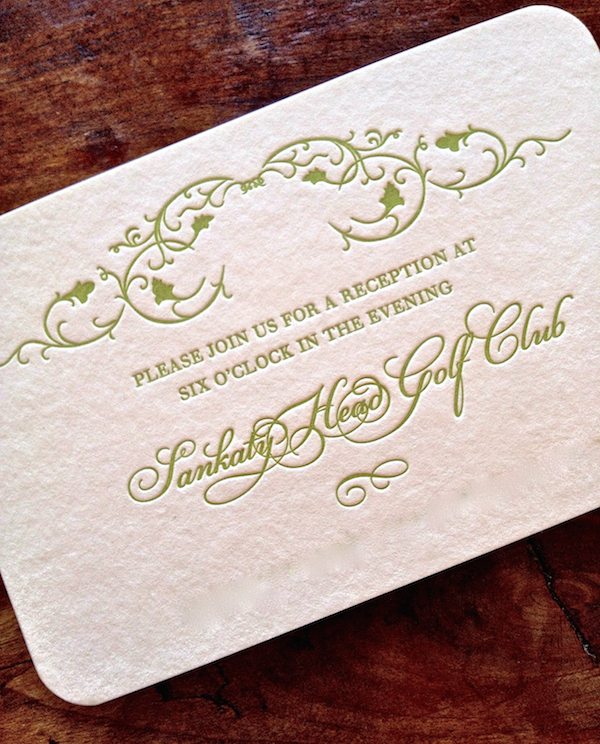 We have been to Nantucket only once and I bet my daughter would be thrilled with a destination wedding in Nantucket. I love everything about this wedding. 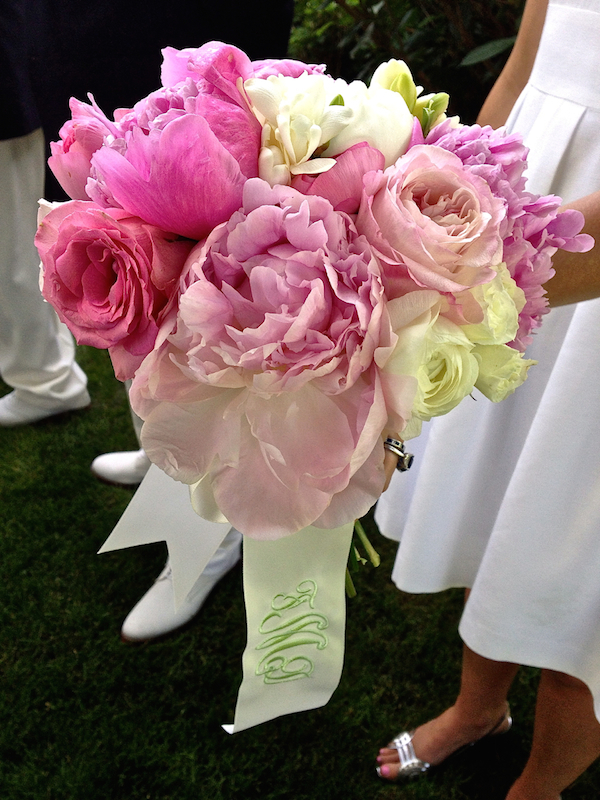 The monogrammed ribbons on the bouquets are brilliant! That’s going in the wedding file for sure..
How incredibly beautiful, I’ve somehow lost track of your blog it has grown in its exquisiteness. And funny, the men’s clothes are my husband to a T! 79 queries in 0.788 seconds.